Today, Waikiki remains Hawaii’s #1 visitor destination, and its existence the major reason why the city of Honolulu is, year after year, one of the top ten destinations in the United States. It may be hard to envision today amid the bright lights, bustling beachwalk, towering hotels, and array of shops, restaurants, and other attractions, but at one time, Waikiki consisted of marsh and swamp land, traditional fishponds, and residences owned by native Hawaiian kings and queens. 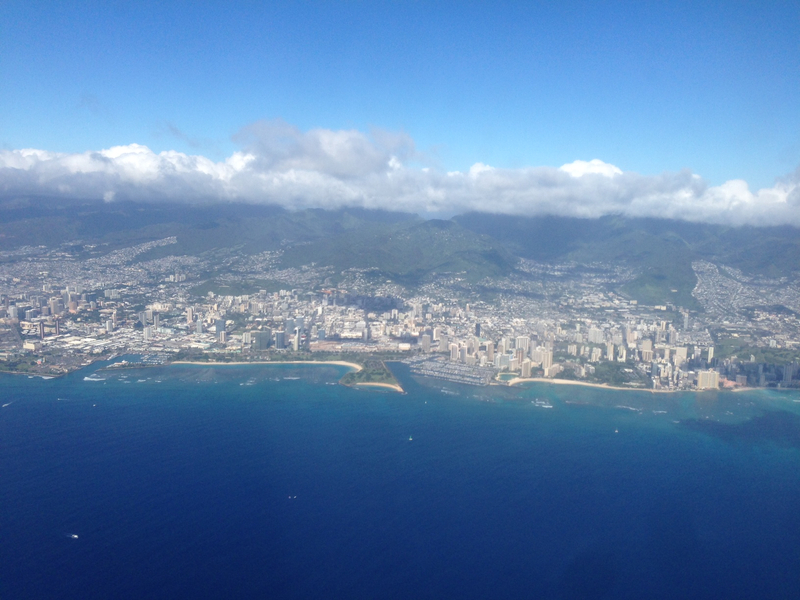 The neighborhood of Waikiki, which means “spouting fresh waters” in Hawaiian, today extends from the Ala Wai Canal to Diamond Head (Lēʻahi in Hawaiian). Historically, Waikīkī was blessed with many springs and streams that flowed from the mountains and valleys and was a drainage basin for the Ko‘olau mountain range, which receives millions of gallons of rainfall daily. It was the site of one of three favorite residences of the powerful chief of O‘ahu, Kakuhihewa. In the mid 15th century, the existing wetlands were irrigated, allowing for a system of agriculture based around wetland kalo (taro) and loko i‘a (fishponds), which supported a growing native Hawaiian population. In 1794, Waikīkī Beach became the site of a dramatic battle when Kamehameha the Great landed his army of warriors in canoes to face chief Kalanikapule, ending in the climactic and bloody battle at Nu‘uanu Pali. Kamehameha then set up residence in Waikīkī, and it remained the seat of his government until the early 1800s, when it was moved to ‘ewa (west) to the Honolulu Harbor area. Throughout the 1800’s, Waikīkī remained both a place of productive agriculture for commoners and relaxation for the royal family, including Kamehameha IV, Kamehameha V, Lunalilo, Kalākaua, and Lili‘uokalani. During the 1800’s also came an influx of foreigners who settled in Waikīkī and the entire island chain, including merchants, missionaries, soldiers, and later plantation and agricultural workers. This huge public works project was a boon to an emerging dredging, construction, and real estate industry. The construction of the Ala Wai was completed in 1928, and set the stage for the rapid urbanization of the area, and the building of residential areas and hotels. Immigrant workers and native Hawaiians displaced in the buildup of Waikīkī settled elsewhere on the island and contributed to the creation of other urban and suburban communities in Honolulu and further afield. Today, the urban runoff and sedimentation have caused the canal to be polluted, but community groups, in partnership with government agencies, are making progress in restoring the ecosystem and reduce the risk of future flooding. The western end of Waikīkī, near Fort DeRussy Beach Park, was once the Hawaiian community of Kalia. During the 12-14th centuries, a complex network of very productive fishponds linked by narrow footpaths were once found widely in the area. In the latter half of the 19th century, 20 acres of Kalia belonged to the chiefly Paoa family. Legendary surfer and swimmer Duke Kahanamoku was a Paoa on his mother’s side, and grew up in an illlustrious fishing and oceanfaring family who lived on this land. The Pi‘inaio Stream fed into the ocean here in a broad, fan-shaped muddy delta where the Ilikai Hotel stands today, creating a rich reef and offshore area with an abundance of fish, seaweed, and other marine life to feed surrounding families. I just finished watching Hawaii Life S1Ep13 on a cable replay, when I decided to search your website. 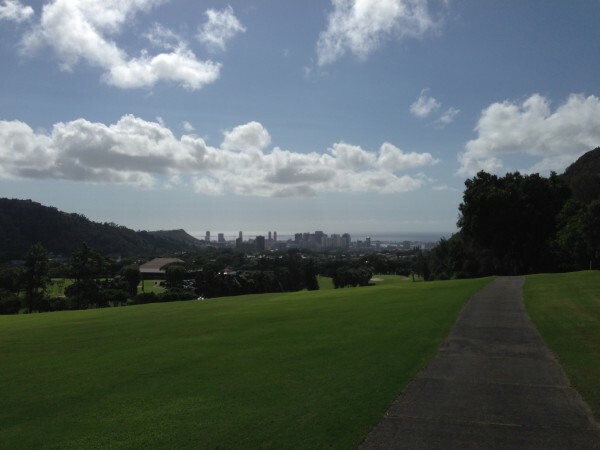 My family and I left Honolulu when I was nine, and have occasionally considered returning. Your article has peaked my interest in the Islands once again. It is very well written, and I have read it a few times already. What a rich history! I will be anxiously awaiting Part 2. Thanks!